Whether you are expecting a check from the state as a tax refund, as financial assistance or any other reason, you need to cash that check properly. Knowing how to properly endorse the check will protect you from theft and fraud and allow you to get the money you have coming to you. Visit the bank where you have your checking or savings account. 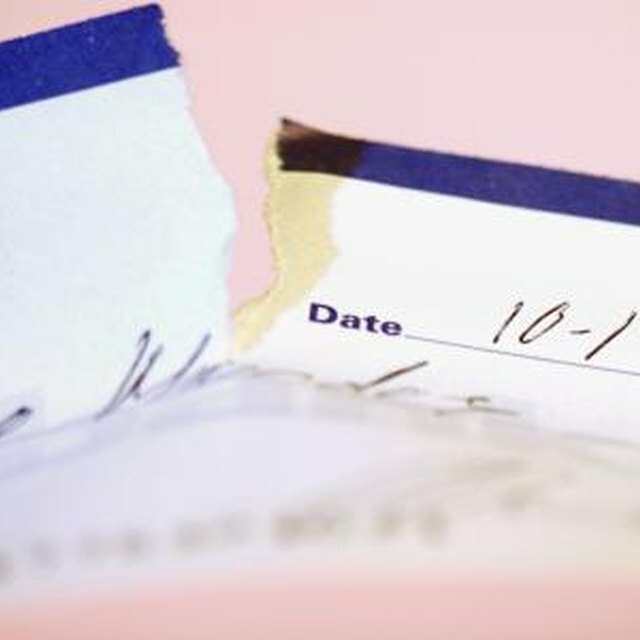 Many banks will not cash checks, even official state checks, for non-customers. Endorse the check on the back by signing your name exactly as it appears on the front of the check. If the check is made out to Mary A. Jones, be sure to sign "Mary A. Jones" instead of just "M. Jones" or "Mary Jones." Do not endorse the check until you are actually in the bank. If you endorse the check and then lose it, the finder can cash it and you will be out the money. Hand the check to the teller at the bank. Provide your identification and your account number to verify your identity. Put the cash away as soon as you receive it.